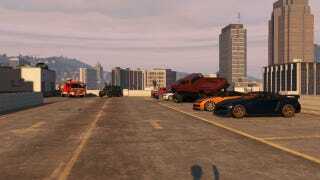 Let's set an official Oppo time to meet on GTA, so we have bigger turn outs. Time: Fridays 6-10pm? or Sundays 1-4pm? These seem like times where people don't have lots to do. Locations: Here's the fun part, and to try and get away from boring parking garages. -photogenic scenery, lots of good driving roads nearby, not too far north from the city. -fairly good scenery, close to the beach. -fairly far north from the city, but close to the coastal highway, so it won't be too long. -awesome sunsets, on the edge of the city so no long drives. -good view of the skyline, in the heart of the city. We can vote for a permanent location, have them on rotation, or let whoever hosts the server decide. You can also put location suggestions in the comments. Put a post on oppo saying you're starting the meet, and what Gt to ask for an invite from.